Last edited by catweazel on Sat Jan 20, 2018 6:54 am, edited 1 time in total. 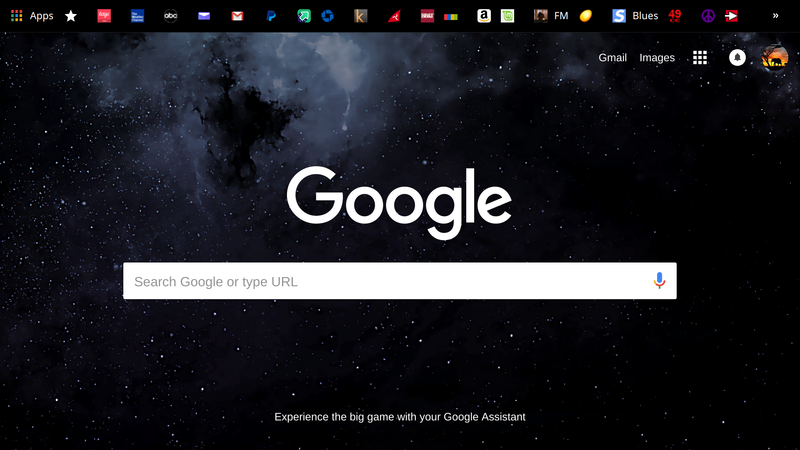 I added the Paper icon set to complement my Adapta theme. I'm quite happy with it. 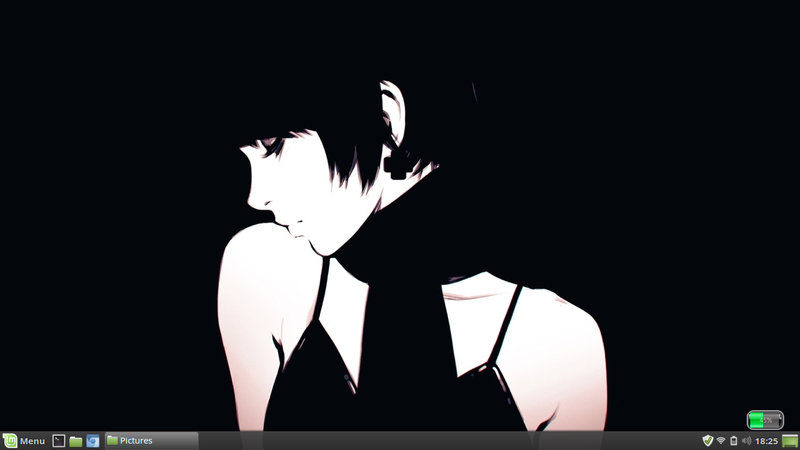 Here's my current desktop on my 2 in 1. 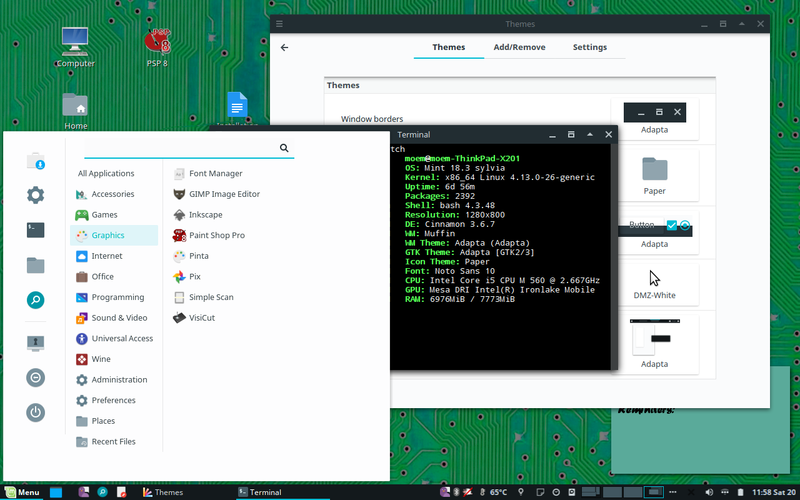 Always go with xfce, usually go with conky on most machines, but the low resolution and small screen size of this machine had me look for something different and I realised xfce had some panel plugins that could give me the info I wanted (see bottom right of desktop). Machine name is a gag, I name most of my regular use machines after corvidae and prefer them to be black, this 2 in 1 I got heavily discounted but had no choice in colour, it was white. Last edited by Ozo on Wed Jan 24, 2018 6:25 pm, edited 3 times in total. 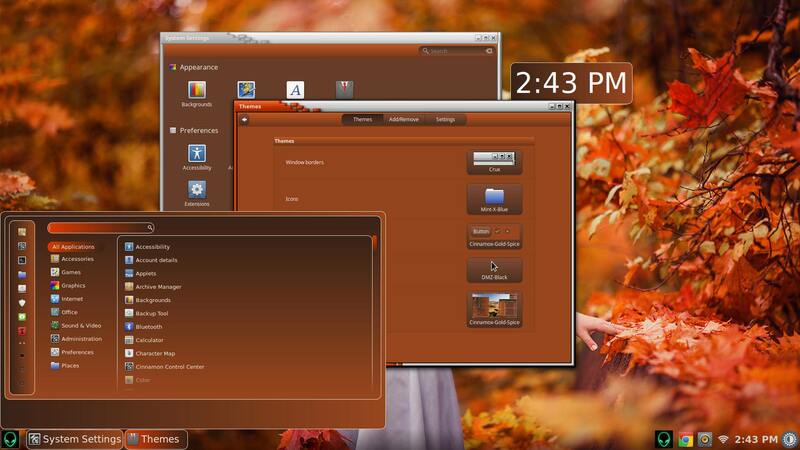 Autumn Woods Cinnamon and GTK theme. 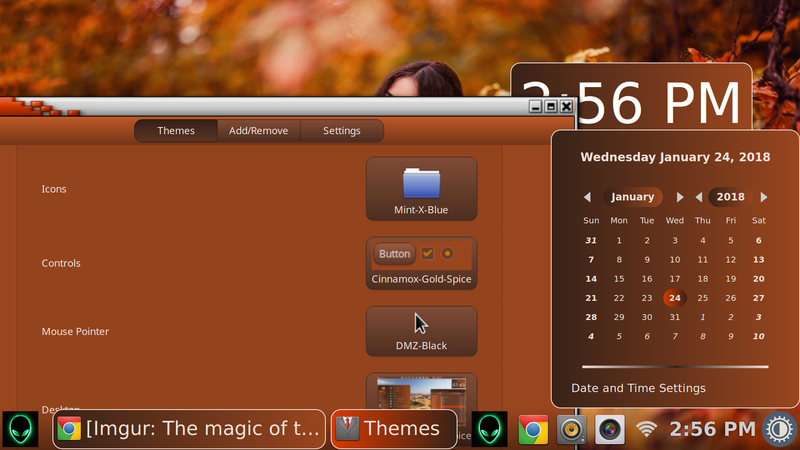 That looks a little like Cinnamox-Gold-Spice on LMC 18.3 The calendar is very nice. 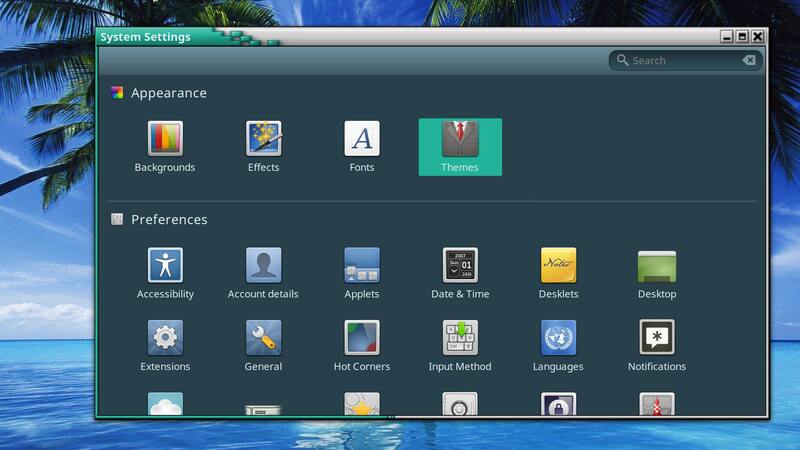 Notice how the desktop clock gets themed. Just for your information. When I click on your photo I see it surrounded by sleazy women (slight exaggeration). I would advise trying Imgur to host photos. It has advertisements too on their site but not blatantly sexist ones and when a photo is clicked only the photo appears larger. Two clicks and even larger. And best of all it is really easy to operate. Try it. That's the link to the actual image, enclosed in rimg tags. To get the link to the image, go to the page and rightclick on the image, and choose View image. Then copy the URL of what you are now seeing. I have all advertising on Postimage blocked, but yes, they are quite bad. You are fine with it, others may not be. 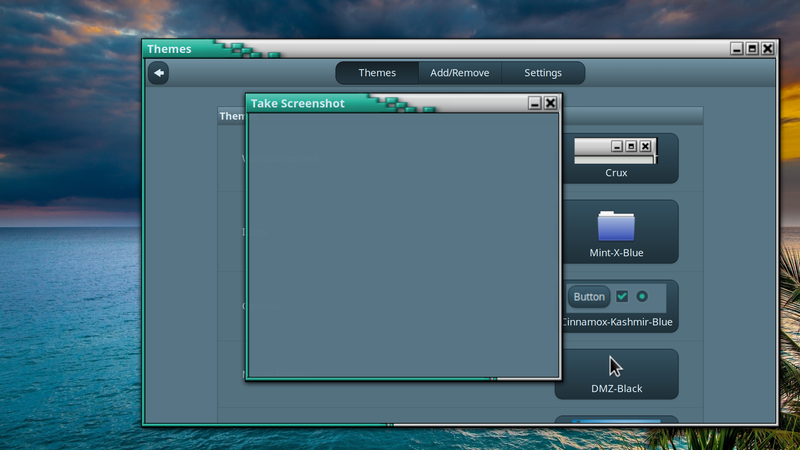 And the image by itself looks so much more professional, and less distracting. 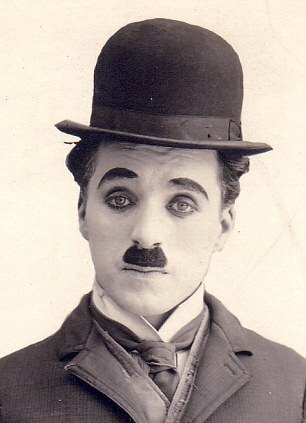 I find it quite absurd that you reproduce the very same images that you find disturbing. Talking about paradoxical! Last edited by Sir Charles on Tue Jan 30, 2018 12:20 pm, edited 1 time in total. Very much OK. In fact, perfect. 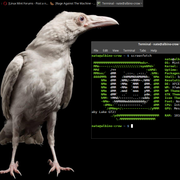 Clean Cinnamon desktop running conky. Monitor is a Dell 3415w (3440x1440). 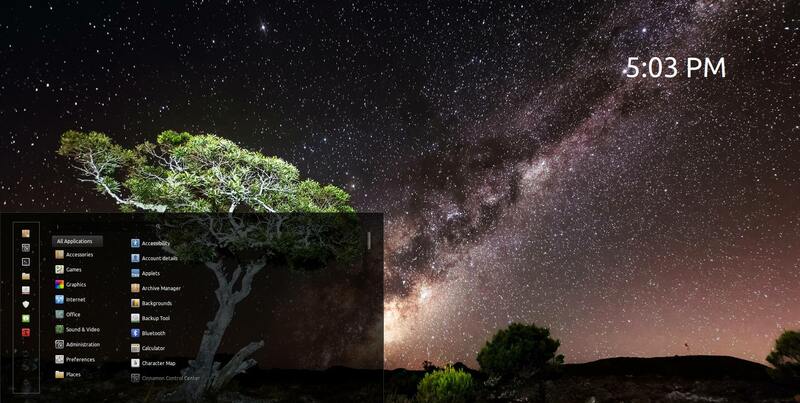 The first photo is a shot of the Google Chrome browsers Dark theme "Dark Space". 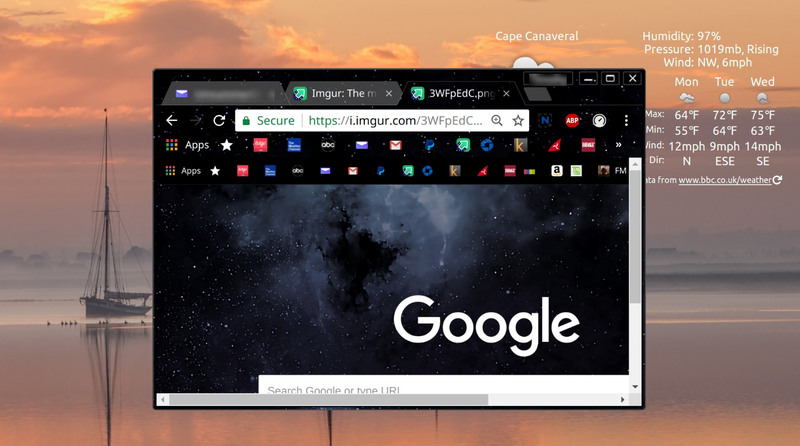 It is the new tab page and is in Full Screen (F11). The second, not so stunning is the shot when in reduced size; notice the black border. 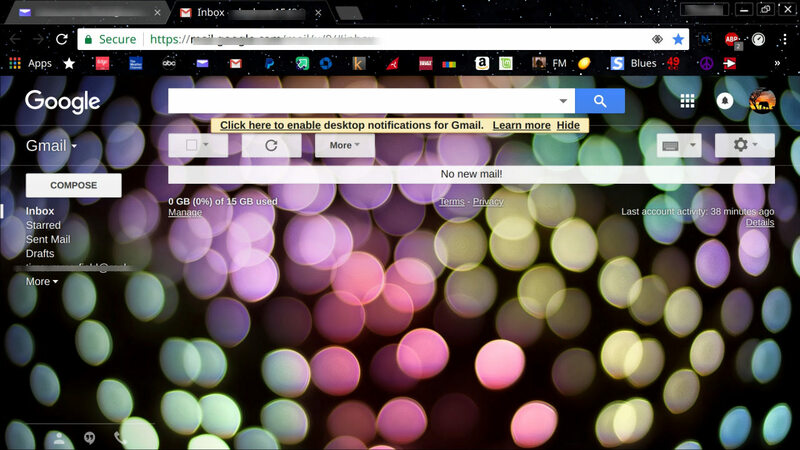 While I am at it, the third shot is of a GMail email page theme. Notice how I fuzzed out the personal information using Nimbus. Last edited by Ozo on Mon Feb 05, 2018 10:58 am, edited 1 time in total.